LG’s V line of flagship smartphones is arguably one of the company’s most innovative creations, with phones that are unafraid to stick to removable batteries, durable construction, or play around with other hardware concepts. One such feature that is arguably the defining feature of the LG V line is the inclusion of a secondary display – a small additional panel that resides at the top-right of the regular display. This secondary display enhances the device’s ability to display key content such as notifications and shortcuts without interfering with the rest of the UX. It’s a nice way to save screen real-estate and it has allowed for good heads-up information tickers, frequently used app shortcuts, a permanent clock, and other screen-off features. Having it separate from the main display for screen-off content was beneficial given LG’s use of LCD displays which cannot light up individual pixels like AMOLED panels for efficient display of content on pure-black backgrounds, something that is crucial for use in ambient or always-on-display modes. While the secondary display certainly gave the V10 and V20 a bit of personality and uniqueness (up until HTC’s recent adoption of such a feature with the U Ultra, at least), that trend will not be continuing. According to a trusted source, the upcoming LG V30 will be ditching the secondary display. On top of that, our source claims that the LG V30 will feature an OLED panel, which falls in line with many news reports we’ve been hearing about LG Display’s investments in the face of an increasing demand for OLED smartphone displays, as well as a recent report from The Investor which suggested this would be the case. LG’s flagships have typically featured excellent LCD panels meant to showcase the company’s engineering prowess, similarly to how Samsung adopts the best and latest AMOLED panels it creates for its own Galaxy flagships, so we would expect LG’s latest flagship to showcase the fruits of their latest investments. While we don’t know precisely why the company is moving away from such an iconic aspect of their lineup, it is possible that LG will adopt an 18:9 aspect ratio on this new device like they did with the LG G6, which would in part make the addition of a secondary display redundant. The device could thus have a taller screen with additional screen area at the same width, gaining some of the benefits of the old secondary display. This wouldn’t be unexpected given that LG seems quite committed to this aspect ratio, something we learned in our trip to South Korea for the launch of the LG G6 where LG repeatedly told us it was “the future” of smartphone displays. Admittedly, the inclusion of an 18:9 aspect ratio is speculation on our part and not something that our source confirmed to us, so it’s still possible we’ll see a more traditionally proportioned display. Finally, the same source has confirmed a few additional details about this device: it should launch with a Snapdragon 835 SoC with 4GB of RAM, there will be a variant with 64GB of storage, and the device will also retain a microSD card slot for storage expansion. 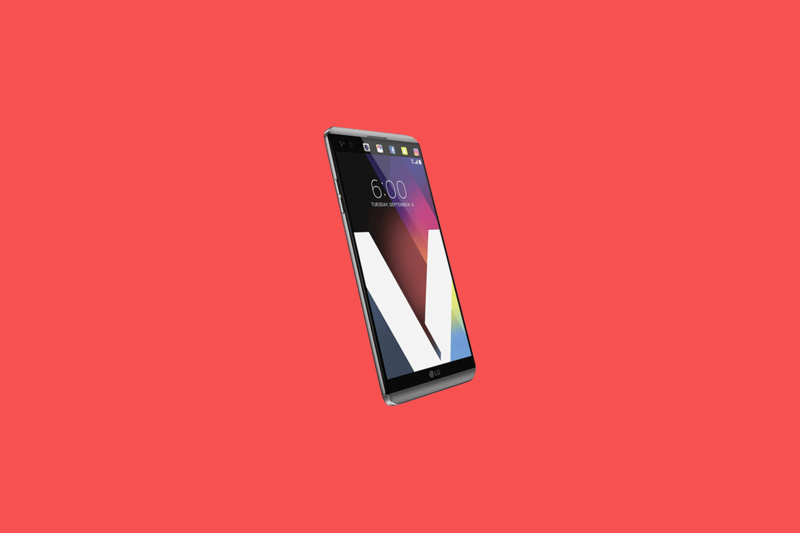 In most other aspects, the device can be summarized as a larger version of the existing LG G6 flagship smartphone. The rest of these specifications should come as no surprise given the expected timeframe in which this phone is to be released. These leaks mostly fall in line with other leaks and rumors, though none of it necessarily confirms our dreams of seeing LG’s “Project Joan” come to life — now that was innovation in smartphone displays.